Finally, we have some great news about the average credit score of Americans. 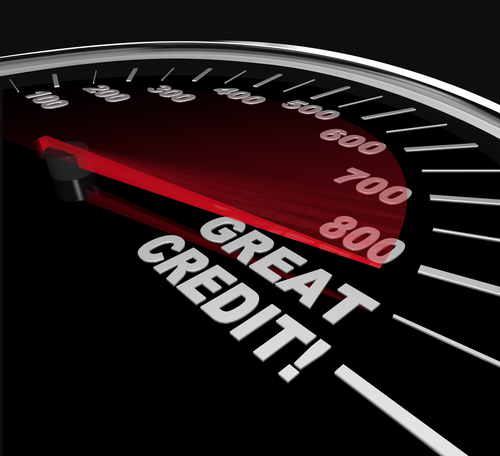 According to the latest report from FICO.com, more Americans have improved their credit records. The data provided by the company was derived from the latest national distribution of FICO Scores – the leading formula used by lenders to determine the creditworthiness of Americans. The report revealed that the consumer credit quality of Americans continued to climb over the past years. For instance, consumers with a FICO Score range of 800-850 (the highest range) is now 19.9%. This was based on the data as of April 2015. In October 2014, only 19.6% of consumers belonged to this credit score range. A year before that, only 18.6% of consumers had a score of 800-850. The current rate (19.9%) of consumers with the highest score is said to be at the highest level since 2005. Apparently, a lot of consumers believe that a life with no credit history is not practical anymore. Instead of trying to stay away from debt by staying clear of a credit history, they are focusing on improving their credit ratings instead. After all, you do not need to fight something that you know will make financial improvements easier. The answer to financial success is not debt elimination. In fact, debt is not the problem at all. It is our reaction to debt that puts us in a dangerous financial position. We do not have to fear debt if we only learn how to manage our credit wisely. We need to practice good credit behavior because loans can be a tool that will help us improve our financial position. For instance, if you want to buy a house, it is difficult to do so if you will wait until you save up enough to buy it in cash. The more practical thing to do is to apply for a home loan with a low interest rate and just pay it off regularly. As you pay your dues each month, the more your home equity grows and the more your personal wealth increases. Of course, it is important to realize that to maximize the benefits of borrowing good debts, you need to ensure that you can get the best terms for them. The most important quality of the best loan terms is a low interest rate. Now to get a good interest rate, you need to have a good credit score. Fortunately, more and more consumers have successfully improved this particular financial detail. What does it mean if you have a high credit rating? Then again, what does it mean to have a high credit rating? So what if you have a FICO score of 800 to 850? Having a high score tells a lot about your financial and credit behavior. Here are only some of them. You can be trusted with debt. The general perception for people with a good credit score is that they can be trusted to be responsible with credit. That means when lenders or creditors lend you money, they do not need to fear that you will run away. Your credit record shows that you have borrowed money in the past and that you have acted responsibly in holding your end of the loan contract. You have a good payment behavior. When you have a high credit score, it also shows that you are good with your payments. You can meet your due dates and the minimum payment requirement of your credit accounts. Take note that it is not enough that you pay something each month. You have to do it on time – otherwise, that would reflect badly on your credit report. In the article published by FICO, it is revealed that there is a decrease in the delinquency rate in the country. In April 2014, 19.2% of consumers were more than 90 days past their due date. In April 2015, just one year after, 18.2% of consumers have the same predicament. You have a reasonable amount of debt. People who have a high debt amount compared to their credit limit usually has a low credit score. But if you have a high score, that means your debt balance is low – at least compared to your limit. This means you do not let yourself be flooded with a lot debts and you only take on what you can afford to pay back. You are cautious of opening more credit accounts. A high credit score means you are careful with your credit accounts. You do not open a lot at one time. This cautious attitude is a good sign that you think about every account that you open. You do not rush into it. The bottom line of a high credit score is that you know how to manage debt well. You can borrow money, pay it back and repeat the process without any problem. You do not abuse your borrowing power and you think carefully about the credit that you will loan. Fortunately, a lot of consumers are showing signs that they are smarter when it comes to their credit. But despite the improvement, there is still a lot work that is left to be done. According to an article published on WashingtonPost.com, 56% of consumers have subprime scores or a score below 700 in the TransRisk score. The range for this credit score model is 100 to 934. The data was taken from TransUnion, one of the three major credit bureaus. Apparently, the stronger economy and improving job market is not enough to bring about a fast turnaround for consumers. Of course, improving a credit score is not really an overnight thing. There are a lot of tips online that will tell you how to fix your credit score fast. Most of them are effective but you have to realize that a good credit history is not a one time activity. You need to display consistent good behavior when it comes to managing your debts. Here are a couple of things that you can implement to help improve your score and keep it as high as you possibly can. Keep on using credit. First things first, you need to keep on using credit. This is important. It does not have to be something expensive. You can use your credit card to purchase something small and inexpensive. When the billing comes, you can afford to pay off the bill in full. Credit scores do not care how much you will borrow. As long as you use credit and you can pay it off properly, you will get a high score. Repeat this every now and then and you should be able to build up your score. Be cautious of your credit utilization. According to Experian.com, the recommendation of VantageScore is to have no more than 30% when it comes to your balance to limit ratio. That means if your limit is $10,000, your debt should never go beyond $3,000. If it goes beyond that amount, it is not good for your score. If you are nearing the 30% mark of your limit, you need to take it easy with your credit use. Monitor your credit report. You need to constantly check the status of your credit report. This is one way for you to ensure that everything that is stated there are financial activities that you authorized. Sometimes, your score is ruined because of an error that was done by the creditor, lender or even the credit bureaus. Also, being a victim of identity theft can lead to the destruction of your credit history. If you find out about this, you can immediately take action against it. Dispute any errors. When you do find an error, you need to report it as soon as possible. Any error in your credit report should corrected because it can unfairly ruin your financial records. Dispute the credit errors that you will find by getting in touch with the creditor or lender involved. You can also get in touch with the credit bureau. Make sure you check your report after a few weeks or at least call the creditor, lender or credit bureau to see if the action you are requesting was done. Pay off your existing debts. Finally, if you really want to improve your credit score, you need to start paying off your current debts. Remember that a good credit record requires you to exhibit good behavior with your debt. What better way to start this good behavior than paying off your current balances? When you finally improve your credit score, make sure that you understand how to maintain it. Continue doing the tips that we mentioned because it will help you maintain the high score that you worked hard to achieve.